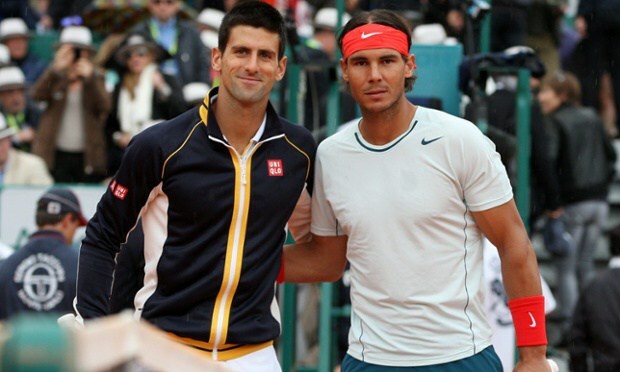 Rafael Nadal is the most likely player to win his eleventh Monte Carlo Masters in France this week; this is of course attributed to the fact that he has been the reigning champ for the past seasons and has still been able to maintain his No. 1 title even without being on the court. We all know Nadal has been recovering from a hip injury but he says he is ready to get back to the tennis court. He feels confident especially because clay surfaces are his strongholds despite their infamous reputation for being tough for most players. Nonetheless, Djokovic is additionally trusting that a change to his training setup will move him back to top shape. We know that he recently changed coaches and went back to his once-upon-a-time coach Marian Vajda. He hopes the new training Vajda has been enforcing on him will get him back on track and hopefully all the way to the top. However, Nadal claims he is feeling completely fit, after a three-month lay-off, to compete for the tournament tot the very end. Nadal needs to win the greater part of the five dirt competition to remain at the highest point of the ATP world rankings. What’s more, he is sure that he will have the capacity to rule at first glance which he is named ‘the best ever’. “I feel that I’m playing great,” Nadal said. Nadal touched base in Monte-Carlo a couple of days before the occasion to get up to scratch with the environment, which he is very comfortable with.